Saraswathi is the goddess of learning. She is the bestower of the power of speech. An aspirant of knowledge must have her grace. Lustrous and as white as jasmine flower, she, clad in a white silken garment and seated in a white lotus is considered to be worshipeed at even by the divine trinity. Engaged in playing a lute made of ruby and uttering words soft and sweet. She is always contemplated upon to ward off the dullness of mind. Listening to a sincere prayer offered at her lotus feet, bears fruits and grants wishes to all. 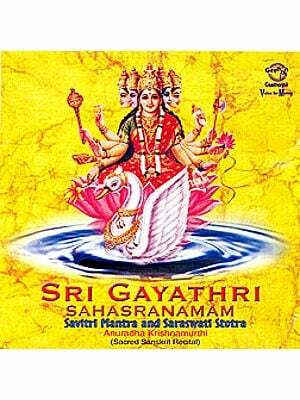 This Audio compact Disc contains Sri Vigneshwara Dhyanam Sri Durga Ashottaram, Sri Lakshmi Ashottaram, Saraswathi Sahasranamam Sri Amba Navamanimala and Sri Saraswathi Mangala Stotram. The recitation of these stotras with clear diction has been rendered with a divine touch by the vocalist, Mrs. Prema Rangarajan who is well versed in Sanskrit also with the support of Dr. R. Thiagarajan, head of the post graduate and research department of Sanskrit presidency college and Mr. Manikkavinyagam the famous music director. 7. 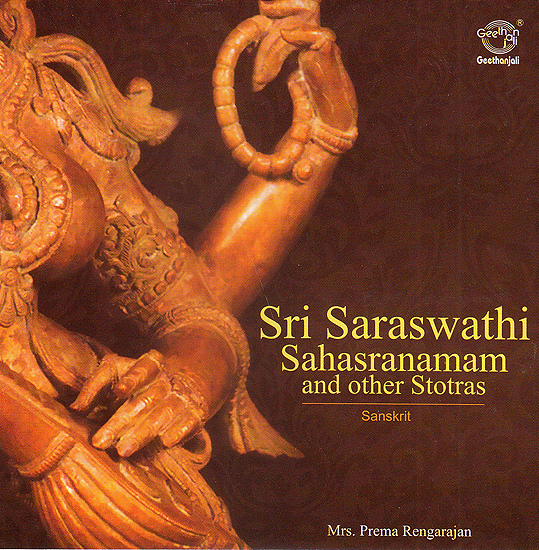 Sri Saraswathi Mangala Stotram.